Every year we host many garden clubs and tour groups. We are happy to greet your group upon arrival and provide a history and overview of Hornbaker Gardens. If you’re interested, we can also present a short program on a topic of interest to your group. 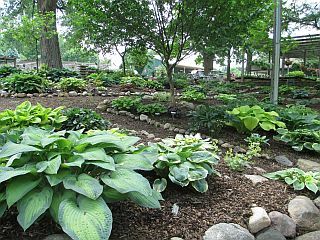 Most of our display beds are accessible by wide paths of gravel, grass, or mulch. Picnic tables and a gazebo are available for your picnic lunch! Call or e-mail our office for more information or to schedule a visit.